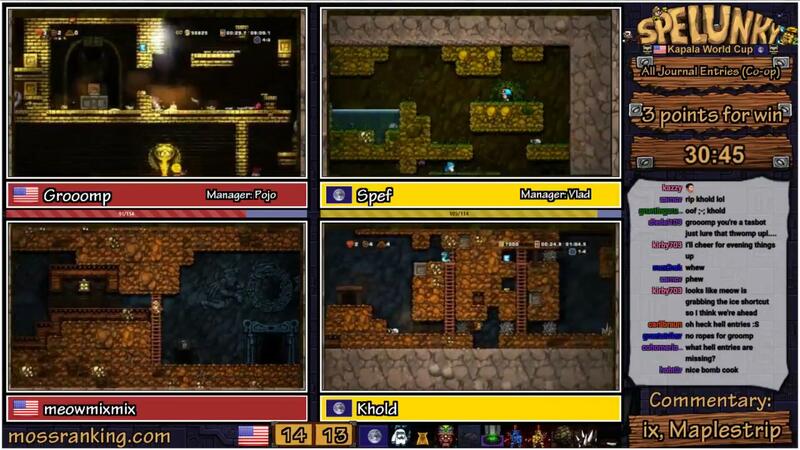 Last week, the winners of the 2018 Spelunky Discord Community Awards were announced as part of a live stream by Grooomp, Kinnijup, and ix. But in case you missed it, here's a text article confirming which of the nominees won. For each category, the percentages of the top three nominees are revealed. Aside from the winner, all nominees are listed in alphabetical order (except for Best Kapala Cup Moment, which is listed in chronological order) and not in order of votes. The majority of winners are also accompanied by a short written blurb highlighting why they shone in 2018. Congratulations to all winners and nominees, and happy new year. Kinnijup wins the award for a second consecutive year. 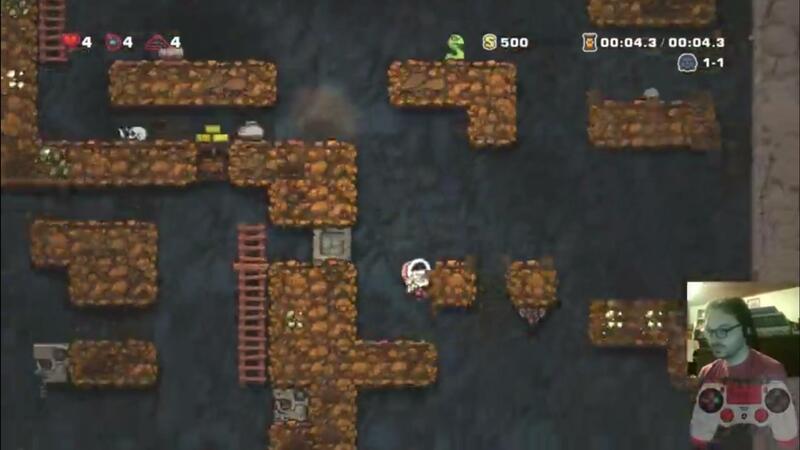 Comfortably drawing the biggest numbers in the community, the number-one ranked Spelunky player proved as popular as ever on Twitch in 2018. The addition of regular voice and face-cams engaged viewers even further, and the huge score runs in the tail end of the year were not only gripping and memorable but also informed viewers not in the Discord server about duping discoveries and Hired Hand strategies. Carlibraun takes the award by a large margin, having enjoyed a fruitful first year in competitive play. 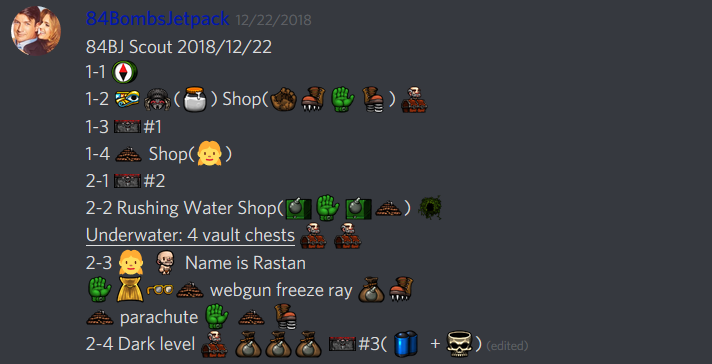 He became an incredibly active member in the Discord server and finished the year on MossRanking in the top 40 with close to 540,000 Moss Points (before the impending formula changes), while also providing plenty of entertaining streams. One of Carlibraun’s highlights was providing the winning moment for Team World under pressure and with 1HP in the final race of the Kapala World Cup. 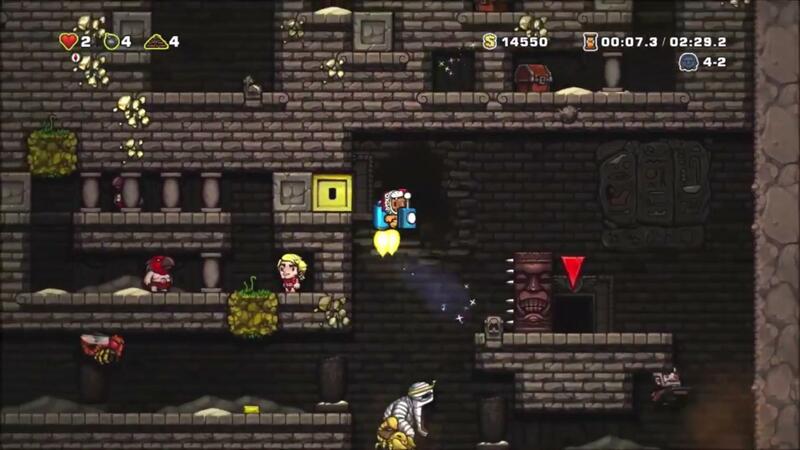 ix has been the most prominent commentator in the Spelunky community, and for good reason. 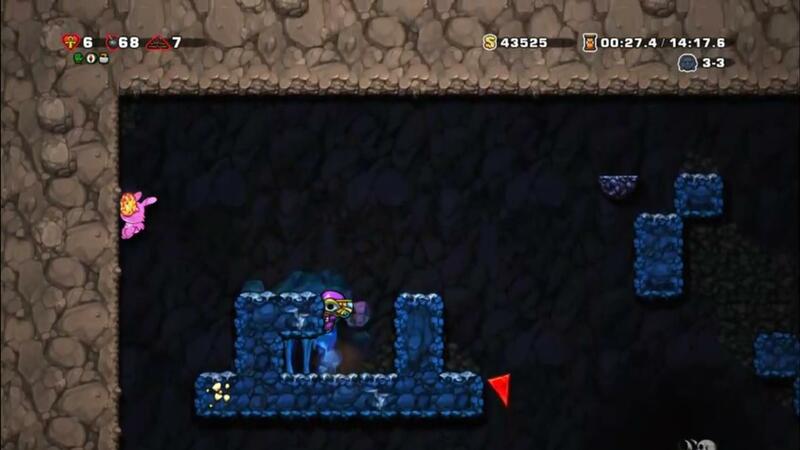 While ix is often praised for his humour and entertaining commentating style, it would be a disservice to ignore how informative and accessible his commentary can be particularly for the more casual Spelunky viewers, of which there were many across the numerous events MossRanking held in 2018. ix seems to be a natural fit in practically any pairing, and also provided commentary at AGDQ and GDQx. chocolatecake5000 edged Kirby703 in a two-horse race, impressing the community with his rapid improvement over the past twelve months. chocolatecake5000 has shot up to 16th in the MossRanking leaderboard (before the impending formula changes), and is a regular and enjoyable streamer. 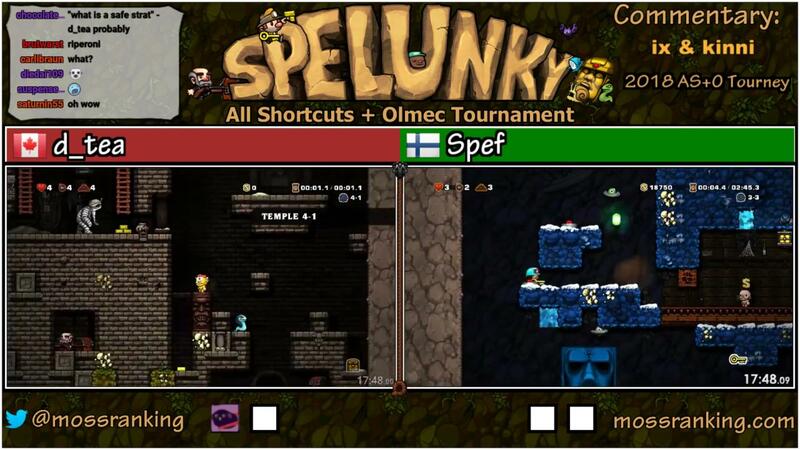 Some of his highlights in 2018 include Speedlunky Low Hell% (7:49.670) and No Gold Hell% (7:59.503) runs and a $3.9 million score run. He also came fourth place in the All Shortcuts + Olmec 2018 tournament. 84BombsJetpack is the runaway winner, securing the biggest overall percentage and the biggest winning margin in any award category this year. A skilled player in his own right, he is known for his commitment in providing thorough and well-formatted scouts. 84BombsJetpack is happy to leave the Hired Hand and duping strats to the likes of d_tea, Kinnijup, and Mazerak. But a large number of the daily score PBs of all skill levels were made possible by his scouting, and this award recognises that. Thank you for everyone who voted. It’s flattering, particularly given the amazing community members who were also nominated in this category. As it turns out, saturnin55 and I were tied going into the final few hours before the voting closed, and one final single vote was the deciding factor. saturnin55 was the person I personally voted for: his continued dedication to MossRanking is awe-inspiring, and I couldn’t have done the Kapala World Cup without his help. Thank you, saturnin55. You’re my winner. Spef stunned the community with the first ever completion of an udjat run. 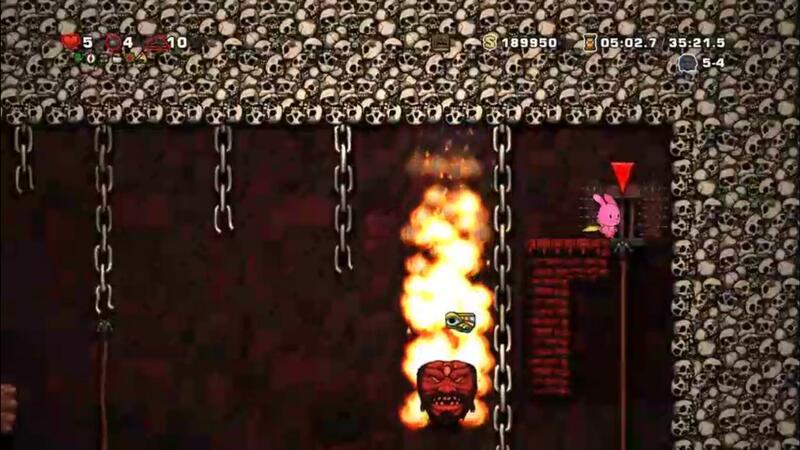 The udjat run originated as a meme which hardly anyone expected to be completed. MilcMan popularised it, and the likes of Kinnijup, Konato_K, and ix have tried over the years. But Spef achieved the near-impossible, showing an extraordinary level of patience, perseverance, and high-level and intelligent play to bring the udjat to Yama and kill him with it. 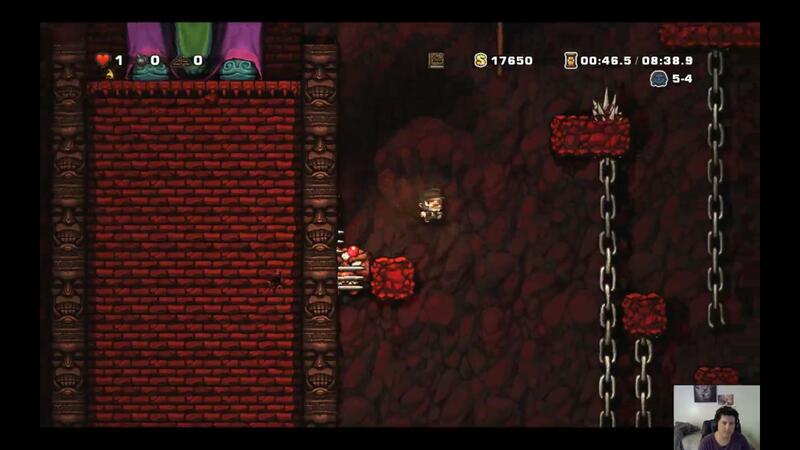 Spef’s Tutorial% world record was wonderful as well. 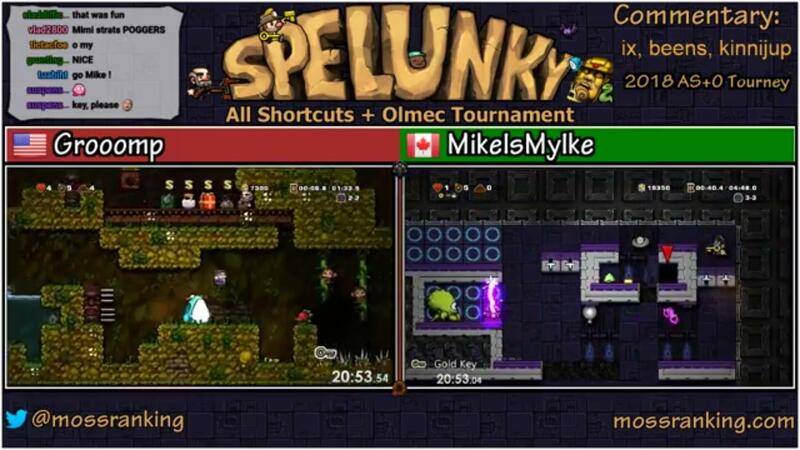 MikeIsMyIke wins both Best All Shortcuts + Olmec Tournament 2018 Race and Best Kapala World Cup Moment. His key split in the Kapala World Cup was perhaps the most nerve-wracking moment in the entire tournament. In the winner-takes-all final race, Mike was entrusted by Team World captain Vlad with delivering the key. He dropped to 1HP in 2-3, and had to endure a scarily dark 2-4 and then the whole ice caves without taking any damage whatsoever, knowing that a death would hand a clear tournament advantage to Team USA. Mike did it, handing the baton off to Carlibraun, and the rest is history. A wonderful final race to cap off the Kapala World Cup. 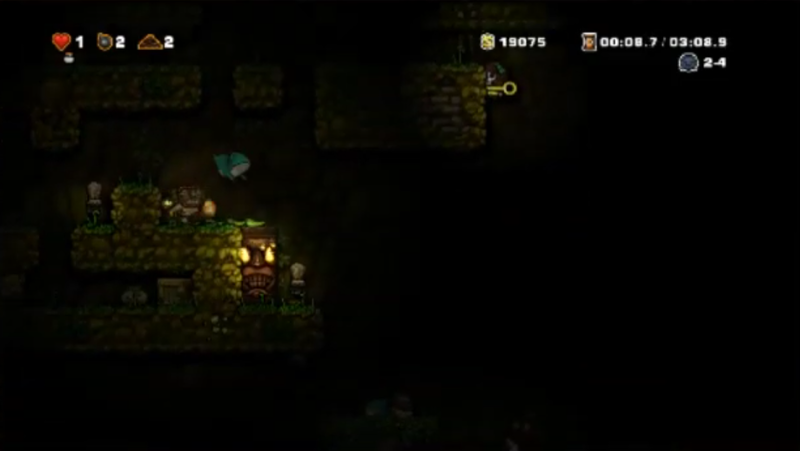 Suspense’s masterful Kapala World Cup trailer came out on top of the Spelunky 2 gameplay trailer, and it is well-deserved. Edited to Little Dragon song ‘Please Turn’, the trailer -- which showcased the participants’ finest Twitch clips in quickfire fashion -- had the community buzzing. Every time the trailer was played during the Kapala World Cup, the enthusiasm from Twitch chat was palpable as they quoted the clips in unison. Suspense’s trailer no doubt played its part in hyping up the tournament. A shout-out to Konato_K for the trophy artwork, which is also featured in the trailer. 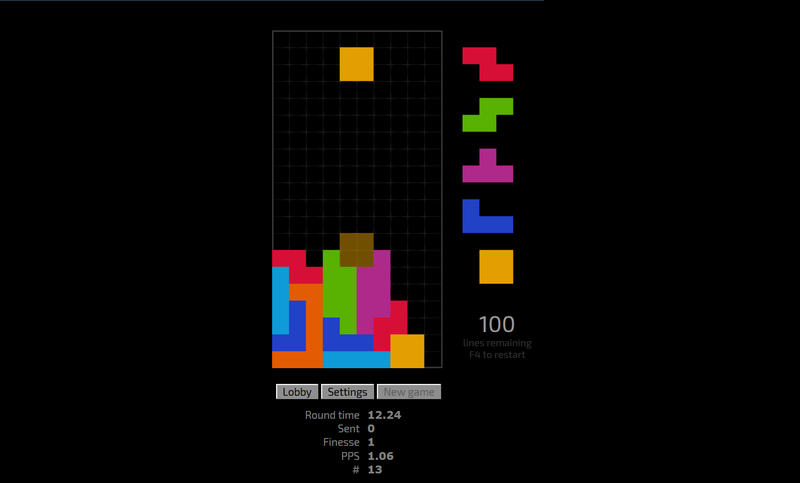 Tetris became the biggest Speedrun Challenge of the year with more than 20 active members of the community trying to achieve the fastest 100-line sprint time they could. 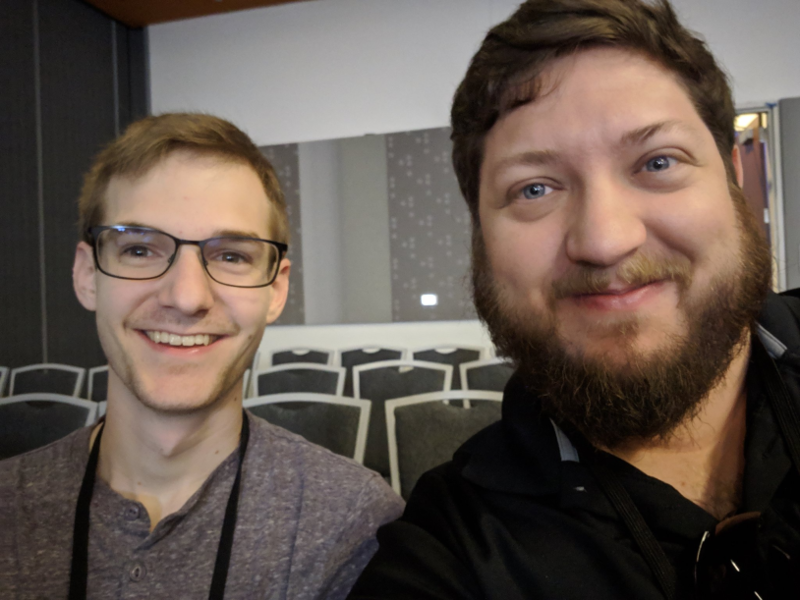 Friendly rivalries formed and some got deep into learning about terms like finesse, as the challenge culminated in a special tournament, only the second time it has happened after Celeste. Kirby703 was the primary driving factor and influence behind the Tetris Speedrun Challenge. 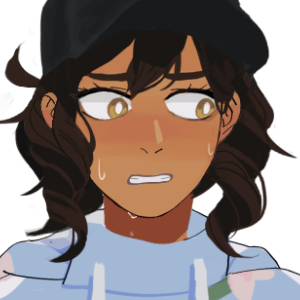 She provided the inspiration for the nomination in the vote, mesmerised the Discord channel with her ridiculously fast times, and organised and co-commentated the tournament (which she also won with ease). Celeste may not have won Best Speedrun Challenge, but the platformer did capture the attention of a sizeable percentage of the community when it came out in January. 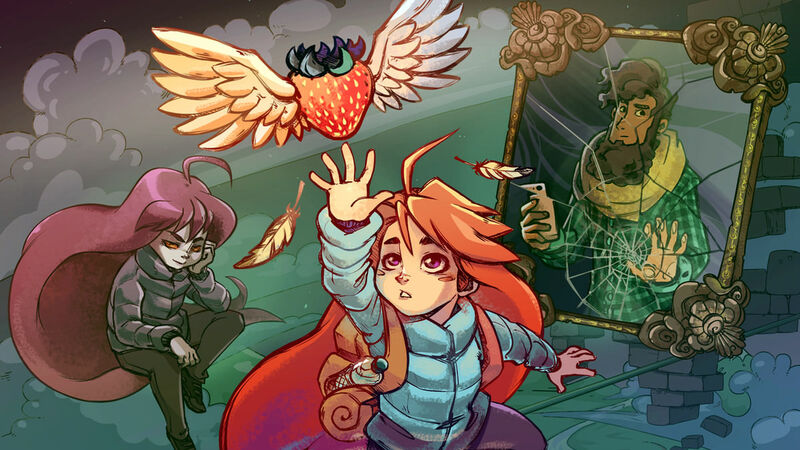 Tight and rewarding platforming coupled with a heartfelt story which touched on topics such as anxiety, Celeste impressively emerged as the winner ahead of a number of blockbuster-budget releases.